Guira Fm or the Palaver Tree, is the radio station created by the United Nations Multidimensional Integrated Stabilization Mission in the Central African Republic (Minusca). Its purpose is to promote the culture of peace, reconciliation and facilitate the restoration of state authority. 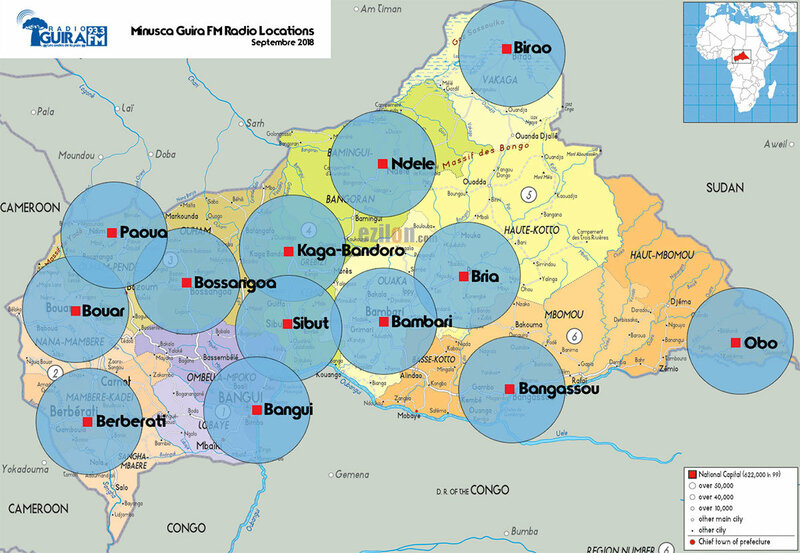 Transmitting in frequency modulation on 93.3 since September 14, 2014, date of its creation, Guira FM covers to date, in addition to the Capital city of Bangui, 12 of the 16 prefectures of the Central African Republic. Among other areas covered, the Prefectures of Haut-Mbomou (Obo), Mbomou (Bangassou), Vakaga (Birao), Bamingui-Bangoran (Ndele), Nana-Gribizi (Kaga-Bandoro), Hautte-Kotto (Bria), Nana- Mambere (Bouar), Mambere-Kadei (Berberati), Ouaka (Bambari), Kemo (Sibut), Ouham (Bossangoa), Ouham-Pende (Paoua). Guira-FM is present in the prefectures that host offices of Minusca but the radio station plans to expand its coverage to the populated area in the entire Central African territory. This radio broadcasts in the two official languages ​​of the CAR: French and Sangô. It attaches particular importance to the mandate of MINUSCA and its triptych: protection of the populations, support to the political process and help to the restoration of the State authority. 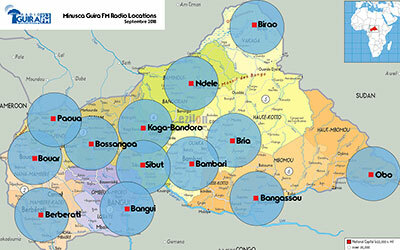 Guira Fm is the only radio station to have almost a national coverage with a presence in Bangui, the capital, and in 12 Prefectures of the CAR. Through its vision, the radio provides to Central Africans rigorous information, no partisan and credible. It also allows Central Africans to live often in real time the major events occurring in the country. With its broadcasting 24 hours daily at the 93.3 FM frequency throughout the country, station listeners no longer hide their emotions. "We are delighted to finally have a radio that gives us the floor, disseminates information, reports on projects related to Work with High Intensity Workforce (THIMO) and those with quick impact (QIPS) that involve a lot of young people in our country. " This shows and testifies the importance that Guira FM now has in the radio station’s landscape of CAR. After four years of existence, Guira FM continues to consolidate its program schedule thanks to a meticulous work that is done both internally and externally with the listeners invited to give their points of view on the different productions of this station. 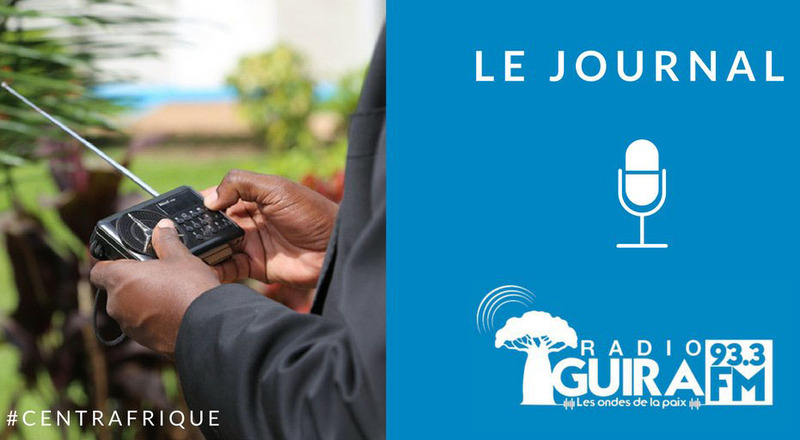 Created on September 14, 2014, the day before the operationalization of MINUSCA, Guira FM broadcasts 24 hours a day and broadcasts daily news as well as various radio productions in French and Sango.